Watch LOVE SUICIDES at next Monday's MALAYSIAN SHORTS! My newest short film, LOVE SUICIDES, will be one of the 10 shorts screening at the latest edition of Malaysian Shorts held next Monday. So if you want to catch my film on big screen, here's your chance! Even I myself haven't seen it on the big screen before! Unfortunately, since I'm still in Tokyo until end of this month, I won't be around for the Q and A session. But Ming Jin (who is the producer of the film) will be representing me! Director's statement: "An experiential journey into a 'lost world', one that is closely tied to the spiritual, musical, traditional and metaphysical anxiety of a man who strives to bring it back to where it belongs: the kingdom of the heart. The combination of rhythm, shot, colour and emotion is a human, painterly quality inherent in all of us, that is meant to break the illusion/reality of the poetic life we lead". Funded by FINAS. Maszalida Hamzah teaches at the Faculty of Artistic and Creative Technology, UiTM. She wrote about the semiotics of Garin Nugroho's photo-poetry for her MA thesis. A stranger comes to Yandsen asking for rental fees. What should Yandsen do about it? Kok Kai Foong studied computer science in Taiwan. His short films have screened at Rotterdam, the Busan Asian Shorts and Clermont-Ferrand. His short The Circle (2004) won the Silver Award at the 2nd Astro Chinese Short Film Competition. How long will love last before the miles ahead run out? The city drowns out echoes from a past; Susan seeks for answers in distance and time, but is resigned to silence. Can motion begin in static? Albert Hue has just returned from a stint in Singapore working on film production. A woman's relationship with her young daughter veers into a dangerous path of self-destruction and abuse when she starts receiving a series of mysterious letters from her long-departed husband. Edmund Yeo did a graduate course in film production at Murdoch University, Australia. He joined Woo Ming Jin's Greenlight Pictures in 2007 and worked on productions such as Kurus (Days of the Turquoise Sky) and the short film Blue Roof. Currently he is doing his Masters in Tokyo, where he is struggling heroically to learn Japanese. Jenna Pathelani, a cop, is still traumatized after a near death psycho abduction 5 years ago. Now, she is losing her mind and senses when her superior Capt Miller throws her into an interrogation room with a bloodthirsty cannibal...an open invitation to his Last Supper. Normen Arule is a graduate of the International Academy of Film and TV in the Philippines. He has made 5 shorts, and co-wrote and co-directed 3 others. Currently he is collaborating with writers from Hollywood on online scriptwriting. Respire is set in a fictional world transformed by a deadly, airborne virus in which people are required by law to wear masks at all times. A young girl who knows her time is short decides to enjoy one last day with the boy she likes. Winner of 2 awards at Cannes 2005: Kodak Discovery Award for Best Short Film and TV5 Young Critics' Award; winner of Best Short Film Award at SITGES Fantasy Film Festival, Catalonia, Spain 2005; Special Jury Award, Taipei International Film Festival 2006. Three friends go on a road trip, but when a prank goes wrong, things take a twisted turn. Shot in real time, in four long takes. 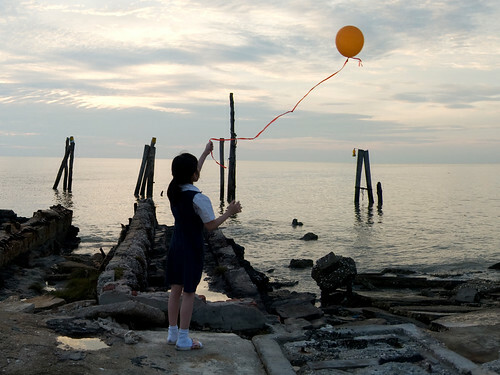 Screened at Cannes Directors' Fortnight; in competition at Taipei Film Festival 2008. Ho Widing, an expatriate Malaysian, studied at the New York University Film School and now works in Taiwan as a TV commercial director. He is working on his first feature, Taipei Sunday, a joint Taiwan- Philippines production about Filipino migrant workers in Taiwan. As several old men and women perform their daily, practical tasks and three children silently suffer their weekly piano lessons, a metaphor is spun, exposing the vicious cycle of pragmatic living that constantly plagues people. Best Short Film, Stockholm Festival 2006; Special Mention, Venice Film Festival 2006, and screened at over 20 international festivals. A near-silent comedy set in a laundry shop. A romantic comedy on one level, it is also a Chinese box of a film, playing on its audience's expectations and cheekily cautioning us against judging a person by the clothes he wears. It premiered at Clermont-Ferrand, and was so well received that it was re-screened there the following year. Yeo Joon Han's debut feature Sellout premiered in competition at the Venice Film Festival's Critics' Week, was rapturously received at every screening, and won the Young Cinema Award for Alternative Vision. It also won the NETPAC Award at the Taiwan Golden Horse Film Awards 2008. Sook Chen has quit her job. She has decided to go to Peru. Ma can't understand why. In fact, he can never understand what Sook Chen wants. 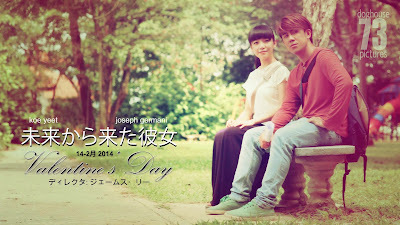 Mui has recently made 7 new short films, of which this is one. They will screen at Rotterdam later this month, where Mui will serve as a jury member for the short film competition. The entire film is here.